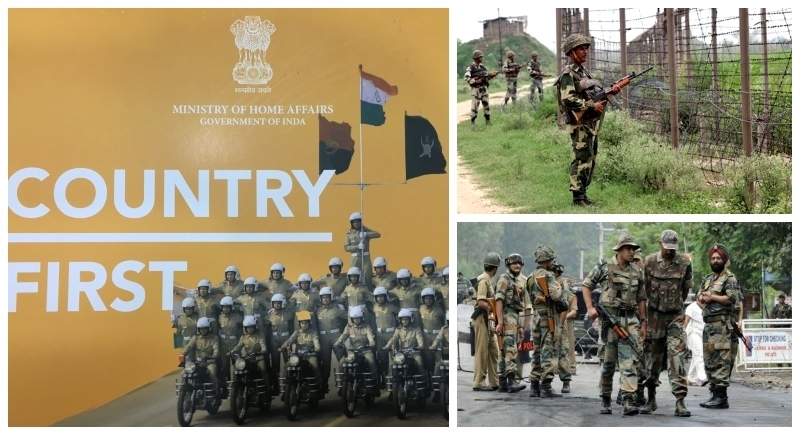 New Delhi, May 28: Union Home Ministry has said there has been visible improvement in the security scenario in the country since the Narendra Modi government assumed office four years ago. The Ministry said this has been made possible due to sustained action against terrorists and negotiations with extremists groups which abide by the Constitution. In a booklet, Country First, released a day after the completion of four years of the Modi government, the Home Ministry said special initiatives have been taken to accelerate development in Left-Wing Extremism-hit areas, the northeastern region, Jammu, and Kashmir, along with the international borders and the coastal areas. The Ministry said there has been 63 percent decline in insurgency incidents in the northeast, 83 percent reduction in civilian deaths and 40 percent decrease in security forces casualty in the region. It also says the geographical spread of the Left Wing Extremism-hit areas has been reduced from 76 districts in 2013 to 58 in 2018. The minister had also said 572 civilians lost their lives and 199 security forces personnel were killed in violence perpetrated by Naxals between 2015-17. The booklet said 113 sympathizers of the terror group ISIS were arrested by the central and state agencies by working in tandem in last four years. The ISIS and Ansar-ul-Ummah (AUU) were declared terrorist organizations and Mumbai-based NGO Islamic Research Foundation (IRF) was declared an unlawful association for its alleged links with terror activities, it said.